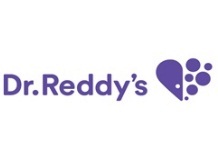 Dr Reddy’s Laboratories, the drug firm announced an image makeover with the launch of a new visual identity and brand on Wednesday. The re-branding will take place in two separate phases. In the first stage, the corporate brand has transitioned to the new identity. The second stage will see the new identity transitioning on to the company’s product packaging, it said in a statement. The existing logo and brand identity shall remain valid until changes that are pertinent to legal processes, documentation and other regulatory or statutory changes are complete, it added. As part of its new initiative, the company said it would work to bring expensive medicines within reach of patients, address unmet patient needs and manage their disease better, among others. The company has also chosen a new corporate colour — Purple, which is associated with creativity and wisdom, the company said.